Easy as 1-2-3? Let’s dive a bit deeper and focus on number 1: Meet People. When it comes to building your solar business you have to broaden your audience and attract leads outside the scope of your social circle. How do you do that? You have to let people know what you do, and why you’re the most qualified to speak about it. It may seem rudimentary and obvious, but making the most of this simple step can mean the difference in meeting hundreds of people, or no one at all. One of the cornerstones of Mike’s marketing methodology is the Lead Magnet. A Lead Magnet is anything of value (info PDF, Instructional Video, How-To Manual) you can offer in exchange for an email address. It is social proof that you are a useful local resource and an expert in your field. Your Lead Magnet is NOT a quote. Keep in mind that most homeowners don’t know where to start. They’re trying to understand solar, they’re not ready to buy in yet, and that’s great! Because you have the information they need. You are educating potential customers who will respect your knowledge base and comeback to you in the future. When you build a Lead Magnet, you are building permanent marketing assets that you can pull from for years to come. It may seem like you have to generate a lot of content on the front end, but in all actuality, you can get quite a bit of mileage from one PDF. Take Mike’s suggestion of the Frequently Asked Question PDF. Create a booklet answering the Top 5 Questions you get regarding solar. Make it as locally specific as possible, catering to the residents in your area. Add a picture of you, with your product. Now you have your first Lead Magnet. What’s even better? This can EASILY be turned in to multiple other Lead Magnets. Take those five questions and answer them in five individual videos, the end of which drives people back to the landing page on your website where they can download a PDF of the booklet. A Lead Magnet is a simple effective tool, to spread knowledge while building your customer outreach base. What next? Check out Mike’s website www.solarmarketingguys.com to experience a Lead Magnet first hand. Welcome to Episode 103 of SunCast! We are hanging out with well-known and influential solar icon, Danny Kennedy, cofounder of Sungevity and now Managing Director of the California Clean Energy Fund where he is catalyzing cleantech investment and entrepreneurship globally. Danny believes in building a new global economy where clean energy is affordable and accessible to everyone. Welcome to Episode 102 of SunCast! 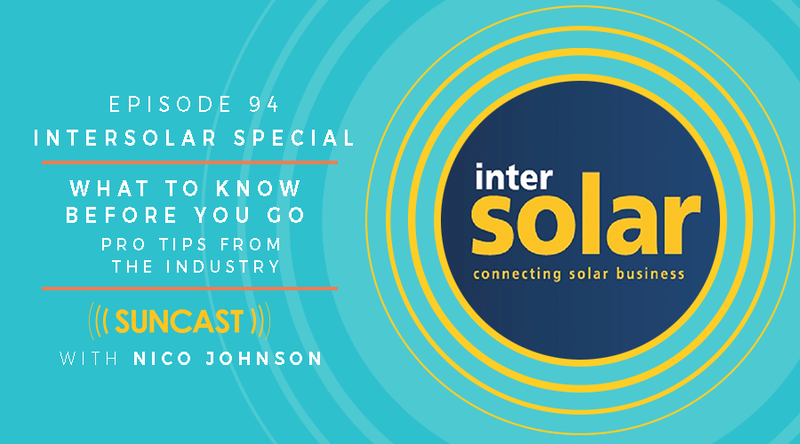 Today is Tactical Tuesday, a short-form conversation with subject-matter experts designed to give you practical tools, tips and advice for building your solar business or career. If you're curious about how to scale up your solar project development activity without breaking the bank, today's episode is for you. Mike Dellagala has invested over $200M in DG (Distributed Generation) solar projects and knows more than a few tips & tricks to getting projects across the finish line. What is required to get an investor interested in your early-stage project? What to do when the checks get larger than you can afford? How does it work when a developer sells their pipeline? What are the mechanics of selling the deal to an investor? What red flags might disqualify a project? What are the 2 main things his team screens to ensure the project is on the right track? And of course, How to sell your project profitably and maximize return on effort! Mike is a trusted advisor, not just for me but for many developers I know. And his team has cracked the code on helping development entrepreneurs get projects to a successful exit, profitably. We cover a broad swath of info about what they focus on and who they help, but of course, we cannot cover it all in only 20 minutes. That's why we're going to offer a free webinar in the coming weeks to discuss the common pitfalls of solar project development and go over the project development process (and checklist!) they have created to avoid them! And don't forget, You can get access to the upcoming Webinar All about the nitty-gritty of developing solar projects that sell by texting "SUNCAST" to 345345 from your phone - that will get you on our mailing list so you will know when Mike and I are rolling out the webinar. And as a thank you, I'll also send you the FREE Webinar Guide, created by our last Tactical Tuesday guest, Paul Grana. Welcome to Episode 101 of SunCast! 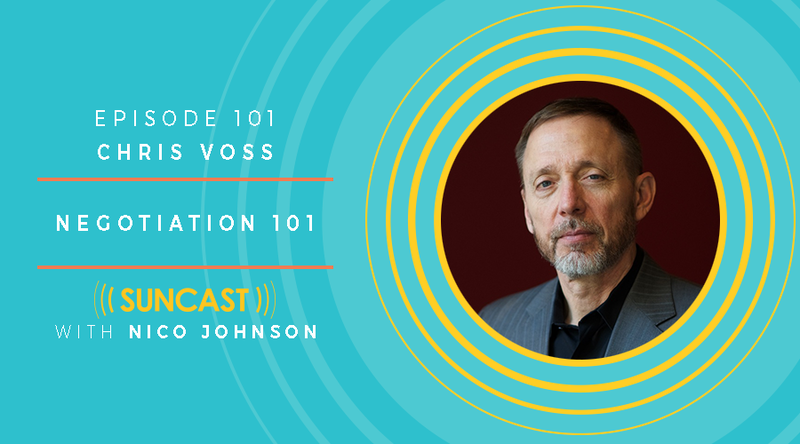 Today, it's all about Negotiation with Best selling author Chris Voss. Chris Voss is CEO of the Black Swan Group and author of the national best-seller "Never Split The Difference: Negotiating As If Your Life Depended On It," which was named one of the seven best books on negotiation. And It's my TOP recommendation for any leader or organization. Chris retired from the FBI after 24 years leading international kidnapping negotiations. He now leverages that experience in high-stakes situations by using hostage negotiation solutions to help companies secure and close better deals, save money, and solve internal communication problems. Welcome to this milestone episode of SunCast, Episode 100! Wow, thank you! SunCast doesn't exist without amazing and dedicated listeners. You've helped make this all possible - thank you. THIS episode, Nico gets the microphoned turned on him by good friend and fellow podcaster, Scott Sullivan. 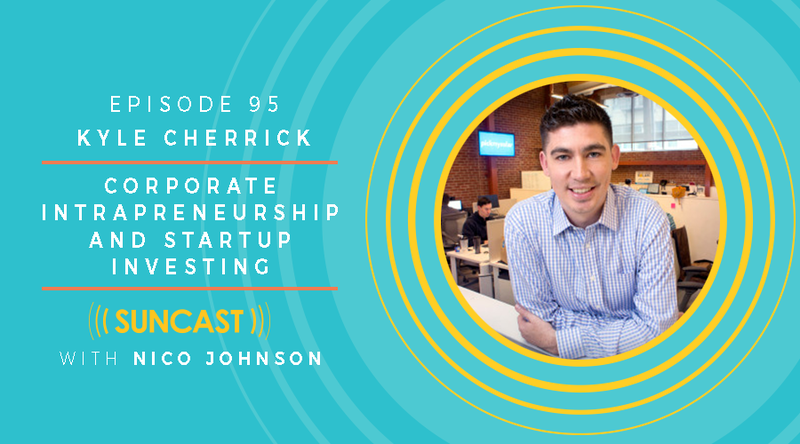 Tune-in to learn more about the creator, host and voice of SunCast - Nico Johnson! Welcome to Episode 98 of SunCast! 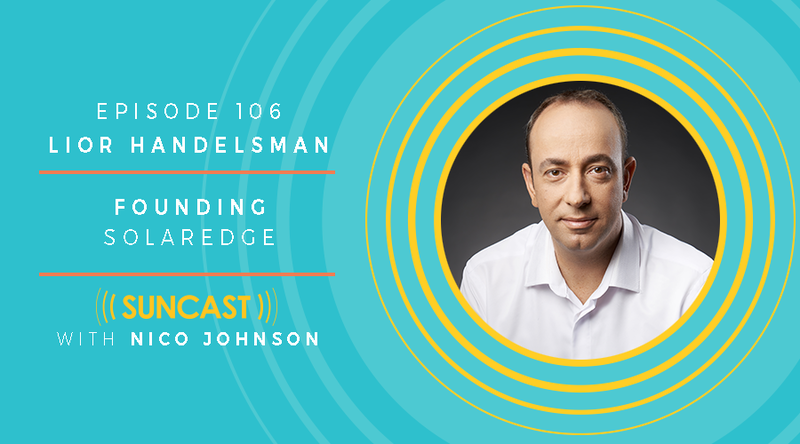 Today on SunCast, we're going to dig into the topic of Branding, what it is, how to measure it, when and why it's important - and I've invited a guest who is an expert on the topic, Fridrik Larsen. Fridrik is an expert in branding and marketing strategies for the retail energy industry. He works with energy companies in the process of branding their companies and their products. Learn more about Energy Branding by reading Fridrik's book: Energy Branding, Harnessing Consumer Power. Check out these conferences that Fridrik recommends: E Source & The Energy Executive Forum. Welcome to Episode 97 of SunCast! Today on SunCast, we get to dig into one of the topics I've featured on the Hot or Hype segment often - Blockchain and Energy. Nick Gogerty is the founder of the first cryptocurrency specifically targeted for Solar Power asset owners. Nick is also a specialist in emerging technology, economics and behavior, and has over 20 years of experience in fintech, Blockchain, forex and innovation. He's an Advisor to the World's largest institutions: like hedge funds, banks, G20, Prime Minister's, the UN, and the list goes on. How SolarCoin is structured from staking claims to proof of stake, including who's buying and using SolarCoin and why it matters. Welcome to Episode 96 of SunCast! Today we're rounding out our discussion with Mr. Kyle Cherrick, Head of Business Development for PickMySolar. 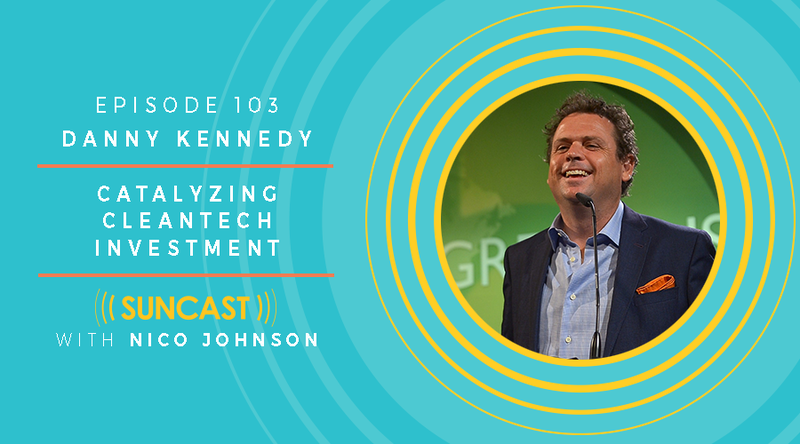 If you missed last week's episode, then you might consider going back to catch it next, as it's actually Part 1 of this interview, and we go over a lot of the foundations and early pivots in Kyle's career that led to his Startup career including how he eventually merged his company with the PickMySolar team. We are going to continue to unpack Kyle's story, this time turning the focus more squarely on his current project, PickMySolar. Kyle managed to launch and fund his previous venture, Solar Merchant, while full-time employed AND getting his MBA. We go into his mindset and counselors at the time, as well as all the regular insights you're used to gleaning from entrepreneurs on SunCast.